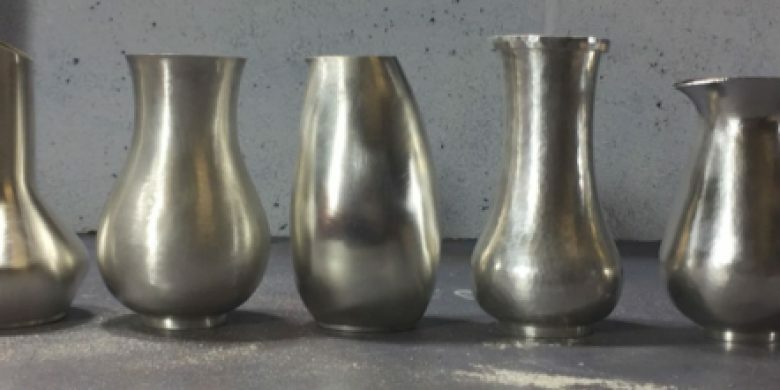 This month Contemporary British Silversmiths and the Goldsmiths’ Centre are working in partnership to launch an innovative skills training programme that will protect and promote excellence in British silversmithing skills. Contemporary British Silversmiths’ and the Goldsmiths’ Centre’s mission is to preserve making skills for future generations and provide professional development opportunities at every key stage in a craftsperson’s career. CBS is proud to have amongst its membership masters of, and specialists within, complex silversmithing skills such as raising, forging, box making, hand engraving and chasing. CBS is therefore working with the Goldsmiths’ Centre to safeguard the future of these endangered higher level British craft skills by passing them on, through its membership, to the next generation. Conceived in 2015 by silversmith and Contemporary British Silversmiths former Chair, Rauni Higson, the skills training programme developed from a pilot course, focused on training offered by retired silversmith Tony Bedford. Since stepping down as Chair of Contemporary British Silversmiths, Rauni has concentrated her time and resources to heading up the Skills Training Programme subcommittee. Thanks to early support from forward-thinking sponsors Incorporation of Goldsmiths, the Pearson Foundation and the Goldsmiths’ Centre, Rauni engaged Sally Dodson as Programme Manager to help develop the concept and officially programme the CBS Skills Training Programme in partnership with the Goldsmiths’ Centre. Rauni Higson from CBS says: “the Skills Training Programme is about offering industry led quality training. 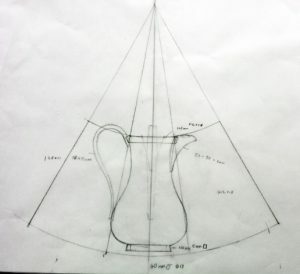 Because it was developed by silversmiths for silversmiths, we will be providing the most effective learning routes in terms of structure, format, location and resources. I am honoured to be working closely with such talented individuals and having access to and sharing that great pool of knowledge and experience”. The Programme is unique in that it will facilitate and give an opportunity to professional silversmiths to teach and pass on their skills on residential courses where the knowledge sharing goes beyond the workshop into the evening. The aim of the initiative will become self-fulfilling as students from the courses will teach on workshops further on in the Programme. Teaching resources will be written by the tutors with expert technical and editing support from the association. 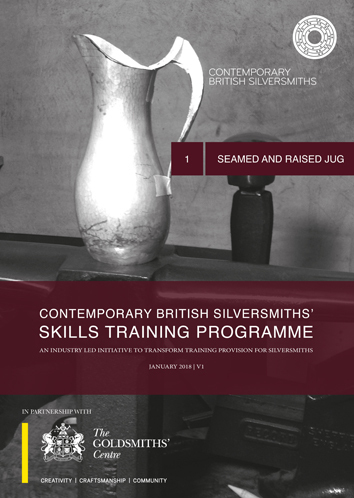 These will be made available for each course and can be accessed by those members of Contemporary British Silversmiths or the Goldsmiths’ Centre who have not been able to attend the course in person, thus extending the reach of skills transfer. Sally Dodson from CBS says: “having worked in the crafts industry for over 15 years, I am acutely aware of the need to preserve high end craft skills. I am delighted to be working with such a passionate and energetic organisation as Contemporary British Silversmiths on a project that will make a real difference in preserving, supporting and developing the best of British silversmithing through this innovative programme.” Peter Taylor, Director of the Goldsmiths’ Centre, explains: “The preservation of traditional skills is central to the Goldsmiths’ Centre’s education and training programme. Our ability to form meaningful partnerships with organisations such as CBS is allowing for this to occur on an ever-increasing scale. To provide our support to a programme, which not only equips practicing craftspeople with additional skills but actively seeks to work with the Centre and enables individuals to share them, is a model we would like to see replicated.